In 1980, Medicare was awarded a statutory right to seek reimbursement for an injury victim’s medical expenses, as well as the right of recovery for future medical expenses before Medicare’s secondary coverage applies. This places the responsibility upon all parties in General Liability cases and Workers’ Compensation cases (as established by the Medicare Secondary Payer Act (MSPA)) to protect the interests of Medicare during the resolution of a settlement that includes future medical expenses. The Medicare Secondary Payer Act is intended to prevent the shift of financial responsibility from primary payers to Medicare. Therefore, this places the responsibility on all parties involved in the settlement to determine if a Medicare Set-Aside is necessary. In order to protect Medicare’s future interests, a Medicare Set-Aside is most often recommended. A Medicare Set-Aside is a cost projection of the future medical costs associated with a claim that are anticipated to be Medicare covered if there was not a primary payer available. The Medicare Set-Aside funds are placed in a separate interest bearing account and can be either professionally managed or self-administered. In the event the Medicare Set-Aside funds are exhausted and properly accounted for, Medicare will become the payer for the future Medicare covered expenses related to the injury. The introduction of Structured Settlements as a funding mechanism for Medicare Set-Asides made handling ongoing medical expenses easier to manage and reduced the cost to the parties involved. Simplified solutions via one Structured Settlement consultant responsible for everything related to setting up the Medicare Set-Aside. Realized savings when annuitizing the Medicare Set-Aside. 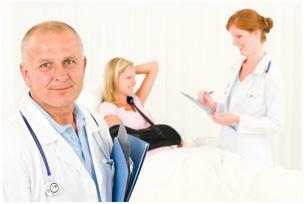 Quick claim resolution reduces adjustment expenses, possibly reducing additional legal fees and medical costs. Impaired Age Ratings may reduce the total Medicare Set-Aside allocation amount and may reduce the annuity premium. Professional administration fees can also be funded with a Structured Settlement, thereby reducing the upfront cost to all parties. Prevent disqualification of benefits and avoidance of penalties/fines for the parties involved. Since Medicaid and Social Security Income are needs-based programs, a claimants’ eligibility could very well be nullified upon receiving a cash lump sum payment from a personal physical injury or sickness claim. Even periodic payments from a Structured Settlement would be considered income for government assistance qualification purposes. In these instances, the best approach lies in having a Structured Settlement fund a Special Needs Trust. The assets in a Special Needs Trust are not counted as income when qualifying for needs-based programs, as the payee in the Structured Settlement is the trust. A Special Needs Trust normally requires the approval of the Court and the distributions from the Trust can be used for the most common day to day needs. For additional information concerning Medicare / Medicaid eligibility, contact the professionals at Settlement Funding Associates today.